Everyone that uses the fairgrounds facilities will pay a user fee. This fee will be determined by what is used. The Use fee is to pay for upkeep of the facilities. Applications and fees will be paid to Musselshell County and contract signed before using any of the facilities. Applications will be handled through the Extension Office. Money will have to be obtained from other sources for additions and major improvements. Any outside money that is raised by an organization for improvements of the fairgrounds may be put to the use fee for that year if approved by the County. 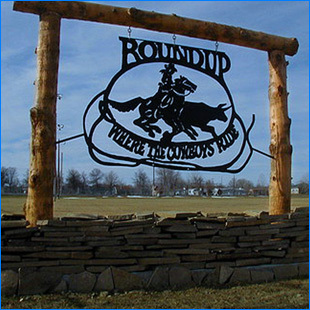 Fairground facilities will be: Rodeo Arena, Roping Arena, Livestock Barns, Upper Quonset, 4-H Building or Bathrooms, Baseball Field, Cow Bells Corral, Concession Stands, Restrooms, Infield, Parking Areas and Stock Pens. All concessions and moneymakers during a County sponsored activity will be let out by the County. Musselshell County may sponsor concessions. Two days after an event will be given for clean up. Money will be held out from the deposit for any damage or failure to clean the facilities. The user will be given the opportunity to fix or clean anything that does not meet standards. The county will inspect the facilities before and after use. The user is to report any items that may be out of order before they use the facilities to remove responsibility from the user for these items. The Commissioners approve repairs or their authorized agent may approve minor repair work ($250.00 or less). The security deposit or balance, if any sums were withheld as provided above, will be refunded in the next County claim run after the final check out of the facility used. The Permittee will agree to file with the County a certificate of a satisfactory liability insurance policy which will provide that both parties will be completely protected and not suffer any financial loss in the event of any action brought against either party for damages to persons or property. The liability insurance policy will be a minimum of $100,000 for non-spectator and $500,000 for spectator. All subleasing (concessions stand, etc.) must have a certificate of insurance also. Cow Bells Campground is for public use. No activities will be allowed to close off the campground to the public, but activities are allowed in portions of the campground and a fee may be charged. There will be no charges other than paying for actual expenses for charity functions. Charity functions are those where the proceeds are given to a no profit benefit. This activity must be approved by the Board of Commissioners. Activities will be classified into two categories: Major events that charge gate fees and non-profit minor events. A function that qualifies as a non-profit minor event will be allowed to use the individual fee schedule listed below. Non-profit-Minor Events Per Day : No gate fee will be charged. Note: This is meant for livestock traveling through, not livestock here for an event. All commercial uses of the fairgrounds will have a fee set after they have made application. The charge will consist of a use fee and a deposit. No less than 10% of the use fee will go to the maintenance fund. Note for all events: Rest room facilities during the summer months only. Donations for maintenance are accepted in the donation post on the west entrance. Donations are greatly appreciated.